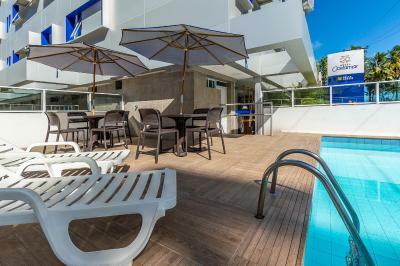 Lock in a great price for Hotel Costamar – rated 8.1 by recent guests! La ubicación, a 100m de la playa y cerca de los bares principales. A pocas cuadras de donde salen las balsas (jangadas) que te llevan a las piscinas naturales. Desayuno excelente en el último piso que ofrece una linda vista al mar. 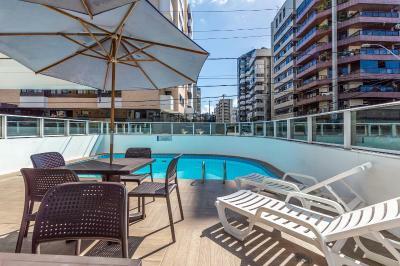 ótimo atendimento, boa localização, limpeza maravilhosa, fiquei apenas um dia, mas gostei muito do hotel e do carinho que tem com seus clientes. Hotel dispões de tudo. A localização é muito boa. A equipe tem bom atendimento, café da manhã muito bom. Ambiente limpo. Ocorreram alguns inconvenientes na estadia, mas, procuramos contornar a situação. Em geral, tem um custo beneficio normal. Nada excepcional. Gostei da localização! Cama,roupa de cama, toalhas praticamente novos. Refeitório tamanho bom. 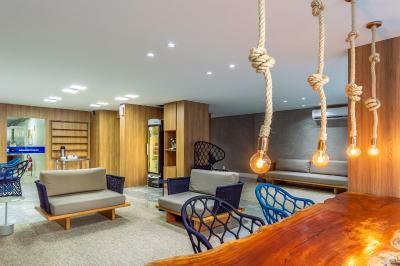 Localização, conforto dos quartos e café da manhã. Da localização e presteza no atendimento. Além disso, o café da manhã é muito bom e com uma vista maravilhosa. 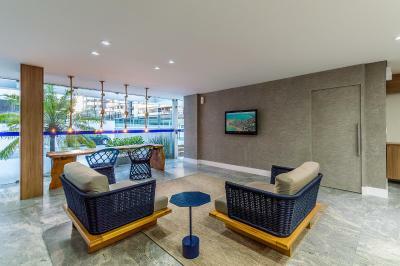 Hotel Costamar This rating is a reflection of how the property compares to the industry standard when it comes to price, facilities and services available. It's based on a self-evaluation by the property. Use this rating to help choose your stay! 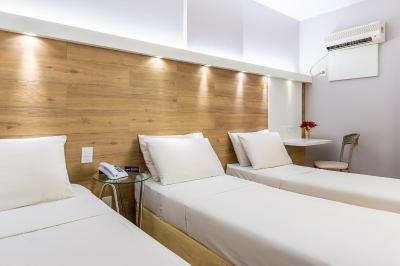 One of our top picks in Maceió.Hotel Costamar offers bright rooms with free Wi-Fi overlooking the white sands of Ponta Verde Beach. It offers an outdoor pool and a panoramic restaurant. Guests at Costamar Hotel can enjoy the natural pools on Pajuçara Beach, 30-minutes drive from the hotel. They can also book tickets at the Nega Maluca Theater, or visit the local handicraft fair. 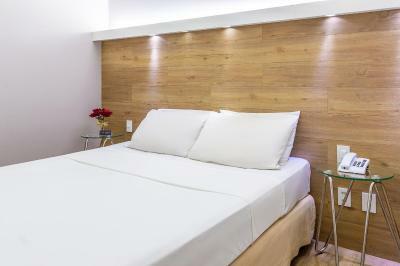 Rooms at Hotel Costamar have white interiors with tiled floors. 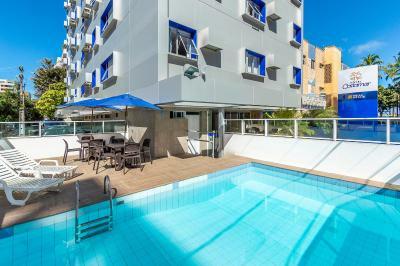 All are equipped with air conditioning, cable TV and a mini-bar. The rooftop restaurant at the Costamar serves regional cuisine. 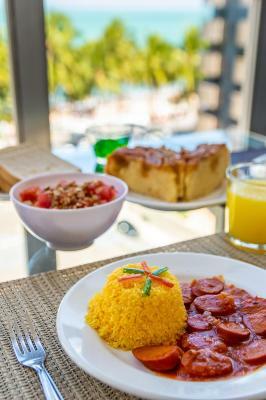 A daily breakfast buffet with fresh fruits, natural juices and pastries is available. Free parking is available for guests with private transportation. 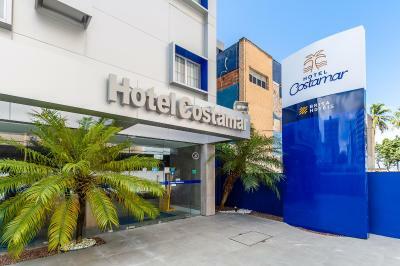 When would you like to stay at Hotel Costamar? 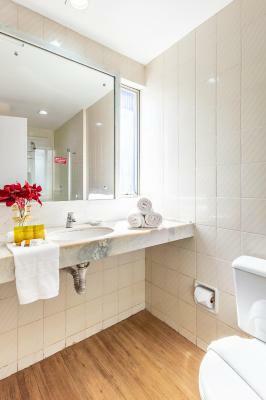 This air-conditioned room features an LCD TV, refrigerator and private bathroom with a hot shower. House Rules Hotel Costamar takes special requests – add in the next step! Debit card Hotel Costamar accepts these cards and reserves the right to temporarily hold an amount prior to arrival. Hotel Costamar accepts these cards and reserves the right to temporarily hold an amount prior to arrival. Private parking is on a first-come, first-served basis.